Victrex Manufacturing Ltd is the world leader in the manufacture of poly(aryl ether ketone) thermoplastic polymers, including PEEK. The company was formed by a management buyout from ICI in 1993 and floated on the London Stock Exchange in 1995. Victrex headquarters are situated at Thornton Cleveleys in the north-west of the UK. Whilst the company head quarters and manufacturing sites are located in the UK, the company has a global presence with commercial and technical teams located around the world. 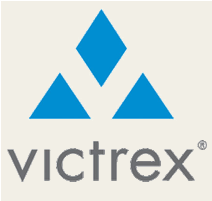 Victrex currently employs approximately 500 people worldwide. Victrex is a specialist in the manufacture, supply and use of poly (aryl ether ketones). Victrex supplies commercially, three basic polymer materials, these being PEEK, PEEK-HT and Victrex ST.